12 million children in the U.S. have untreated tooth decay. Even in the era of the Patient Protection Act and the Affordable Care Act, a recent study found that between 2011 and 2014, 12 million American children were living with untreated tooth decay. The study was intended to analyze socioeconomic and demographic factors that might have contributed to the children with untreated tooth decay. Specifically, they wanted to understand how the Affordable Care Act affected rates of untreated tooth decay in children. Children whose families were dealing with financial barriers to treatment had more than twice the risk of developing tooth decay. Children facing nonfinancial barriers had nearly triple the risk of developing tooth decay. Children with a dental visit in the past 12 months had 44% lower chances of developing and living with untreated tooth decay. The study pointed to “Interventions such as school-based sealant programs” that might help to overcome nonfinancial barriers by bringing the dentist to the school. There are many ways to address both financial and nonfinancial barriers to dental treatment for children. Many people are unaware of the extent of this problem. Some others are unwilling to discuss it. It remains a staggering failure of our health care system in this country that so many children are living with decaying teeth, and the pain it causes, at any given time. The first step in any plan to overcome the barriers and provide needed dental care to all children is typically an initial conversation between a trusted dentist (one committed to creative thinking to ensure that quality dental care is made available to all children) and the child’s parents. When these conversations occur, and when parents are honest about barriers to dental care for their child, it is possible to make the parents aware of local programs available to assist with the cost of care or to provide free dental care. 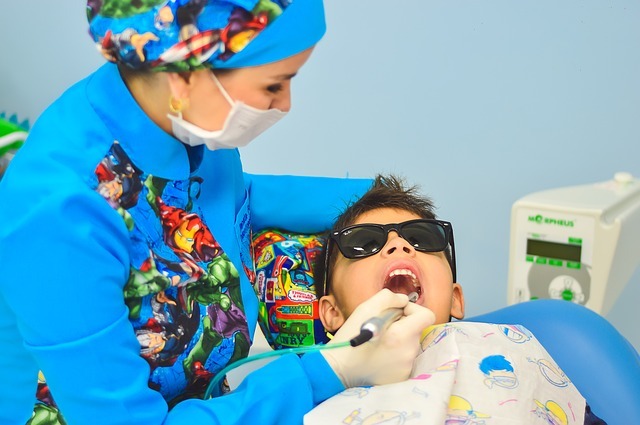 Often it is also the first opportunity dentists have to explain to parents that through use of relaxation dentistry and sedation dentistry children do overcome their fear of the dentist or of dental care. By working together, a committed dentist and a child’s parents can find ways to break through the barriers to care and get quality dental care for their children. It is very rare that we see a parent who is indifferent to the possibilities to obtain quality dental care for their children. In those cases. we may be limited in the options we can make available. In other cases – the vast majority – we can help parents to become aware of and to utilize a range of local programs and ideas that will help them to overcome the barriers affecting their children. 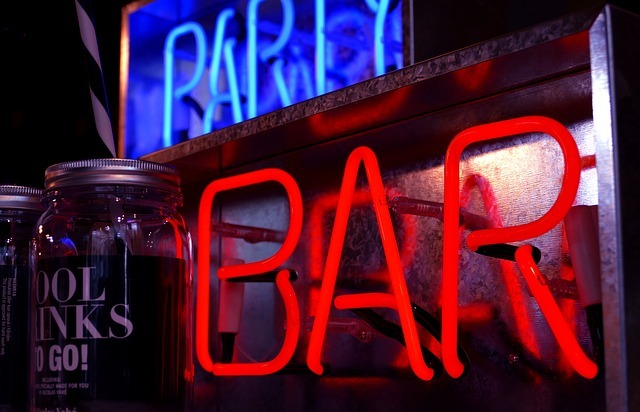 A new study from the U.S. Centers for Disease Control and Prevention (CDC) calls attention to the pervasiveness of binge drinking among adults. According to the study, one in every six American adults binge drink approxiately once per week. These binges include about seven drinks per person on average. Binge drinking is defined as "having five or more drinks for men, or four or more drinks for women, in about two hours." This kind of drinking is most common among those aged 18 to 34. The study also indicated that those with "household incomes of less than $25,000 per year and with less than a high school education consumed many more binge drinks" than those with more education and higher income. Alcohol impaired driving, one of the leding causes of traffic fatalities in the U.S. Increased risk of cancer, heart disease, liver failure, and more. Because these outcomes do not seem to be affecting the number of people binge drinking, let's look at the effect of alcohol on your teeth and gums. How much does oral health, white teeth, and healthy gums matter to you? Alcohol consumption (especially excessive consumption) can aggravate an existing case of severe periodontal disease (also known as preiodontitis) or raise periodontal disease risk factors. The acid in many alcoholic beverages damages the enamel of teeth. Weakening the teeth and creating greater opportunity for bacteria and decay to get a foothold is one outcome of subjecting your teeth to the acid in alcohol. Mouth sores are more common among heavy drinkers. Red wine may kill the streptococci bacteria in your mouth, but it will also stain teeth and damage enamel. Beer will also stain teeth due to the malt and dark barley. Alcohol dries your mouth. Thus, if you do not drink water between alsoholic drinks, you do not remove the damaginng acid from your mouth. We are acutely aware that many dentists and dental practices herd their patients through an examination in order to rush on to the next patient. We fully understand how this approach to patient care makes many people feel. This is why our practice of dentistry is different. Complete Dental Care of Salem, Virginia practices dentistry on a different model. We are far less concerned about the number of patients we see each day than the quality of care we provide to each patient. We recognize and respect the individuality and unique needs of each patient. We adjust our approach and style of patient care to those unique needs of each patient. Many people have deep-seated fears about dentists and dental care. We understand that. We understand that there are many reasons for these fears. We know that many people had bad experiences with dental care earlier in their lives. We also understand that other life events cause discomfort during dental treatment. Many kinds of abuse or injury are at the root of many patient fears. If you can tell us your experience or the nature of your fears, we will work with you to define your particular needs during treatment and to respect them. If you tell us you are uncomfortable with dental treatment, we will listen to your fears and needs. Then, we will work together to find the best way to provide the care you need while respecting your personal needs and fears. We do everything possible to respect the personal space of each patient while performing the needed procedures. We will explain to you at the outset how you can let us know that you need a break. We will always honor that need. We will explain everything we do in advance, as well as the reason it is needed. You will have the opportunity to accept or reject the proposed treatment. You can refuse any treatment or procedure at any time. We will respect your needs immediately. We understand that people who are experiencing stress have difficulty remembering information and instructions. For this reason, we will explain things to you and also give you written explanation or instruction for your use later. If you recognize a need for dental care or treatment but cannot move forward due to your fears or discomfort, we offer some options to help you relax and endure the treatment. You might choose “relaxation dentistry” or “sedation dentistry” to make the process easier. At Complete Dental Care in Salem, Virginia, we will always take the time to listen to your needs, concerns, and fears. Then we will work with you to decide how we will provide the care you need within your comfort zone. And we will always stop if you become uncomfortable during treatment. The difference is that we treat people who have unique needs, because we care about the person in the chair. Do you (or does your child) have a nasty retainer? Here’s what to do. If you brush your teeth twice each day, you don’t need to clean your retainer. Just don’t eat with the retainer in your mouth. The products available that claim to be for retainer cleaning are actually not good for your retainer. If you take probiotics or other dietary supplements, your retainer and your mouth will be healthy without cleaning. All retainers begin to look cloudy after a time. This does not mean it is dirty. It is time to clean a retainer when: it smells or tastes bad, it is covered with a film, there are bits of food stuck to it, it breaks or cracks, it looks cloudy, it was last cleaned more than a week ago, or there are white spots on it. If you use a retainer and you start to get cavities or you develop sensitivity to hot or cold, you should see your dentist or orthodontist and discuss cleaning. Rinse a retainer in water throughout the day and keep it moist. Do not drink sugary beverages while wearing your retainer. Brush your retainer when you brush your teeth with a soft toothbrush. Denture cleaner can be used occasionally. Make a toothpaste of baking soda and water (equal proportions), and use it to brush with a soft toothbrush. Mix equal amounts of vinegar and water in a small dish. Soak the retainer in it for 20 minutes. Castile soap can be combined with water. Dip the retainer into the mixture, brush with a soft brush, and then soak for 2 or 3 minutes. Rinse in cool water. If there are no other options, the retainer can be dipped in non-alcoholic mouthwash for 2 or 3 minutes. Then rinse in cool water. Use a commercially available retainer cleaning product. Could Gum Disease Cost the Life of an Unborn Child? Yes. Gum disease could cost the life of an unborn child. Specifically, an oral bacterium – Fusobacterium nucleatum –can penetrate the placenta and harm or kill an unborn child. February is National Gum Disease Awareness Month and a fitting time to think seriously about the dangers of untreated gum disease. We have come to understand that gum disease and the related bacteria can be absorbed into the bloodstream through leeding gums. Once bacteria enter the blood stream, they can be carried to almost any part of the body. Proof that gum disease can put an unborn baby at risk was uncovered recently by scientists from Case Western University. It has long been known that bacteria from gum disease can cause a baby to be born too small or too early. This recent case was brought to the Case Western scientists by a California woman whose child was stillborn. This woman was aware of studies showing that the oral bacterium Fusobacterium nucleatum could spread from the bloodstream to the placenta in mice. She turned to the scientists to ask if the same thing could happen in humans. She told them about the recent loss of her baby, and reported heavy bleeding from her gums – heavier than normal bleeding of gums in pregnant women – during her pregnancy. The scientists tested the plaque cells from the woman’s mouth. They obtained samples of the oral bacteria from the dead baby’s lungs and stomach. Comparison of the samples proved the connection between the woman’s gum disease and the baby’s death. Pregnant women are typically able to combat the oral bacteria by brushing and flossing. The same is not true of unborn babies. Because the placenta has little immune capability, it is easy for the bacteria to penetrate it and harm the baby. In the case of this woman and her stillborn child, it was clear that bacteria from the mother’s gum disease were transmitted through the placenta and to the child. Unfortunately, this might have been avoidable. Pregnant women need to be diligent about their oral health, brushing and flossing twice daily. If there is excessive bleeding of the gums (a clear symptom of gum disease), they should see their dentists immediately. In an ideal world, women should take appropriate steps to maintain good oral health, and see their dentist for an evaluation prior to becoming pregnant. Then they should be attentive to good oral hygiene and visit their dentists during the pregnancy. We can only hope that women of child-bearing age who want to have children maintain excellent oral hygiene practices and see their dentists regularly before and during pregnancy. It is a hard truth to learn, but gum disease could cost the life of an unborn child. If you are pregnant or you plan to become pregnant, call today for an oral health evaluation. We can help you and your baby remain healthy. If problems exist, we will work with you to restore good oral health. What is Air Abrasion in Dentistry?